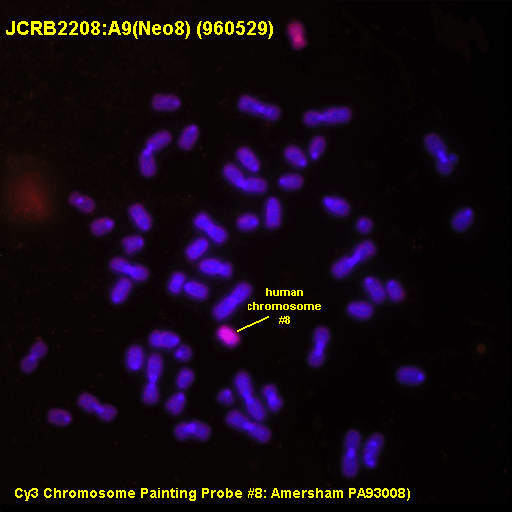 98.7% cells included intact human chromosome #8 at deposit. skin fibroblast, AG-r. 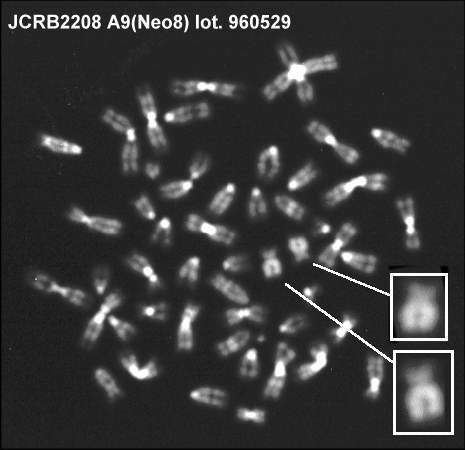 Cells include human chromosome #8. Dulbecco's modified Eagle's medium with 10% newborn calf serum (GIBCO Cat. 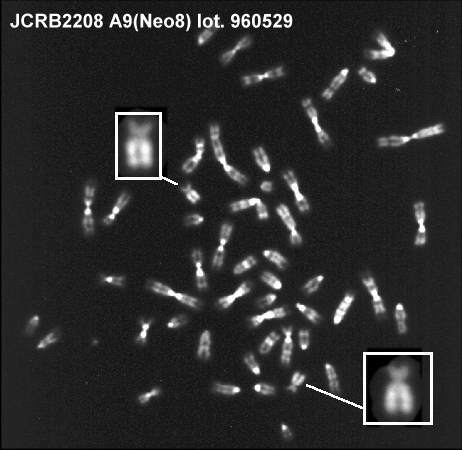 # 16010) and 0.8 mg/ml geneticin (G418; GIBCO Cat. # 10131). 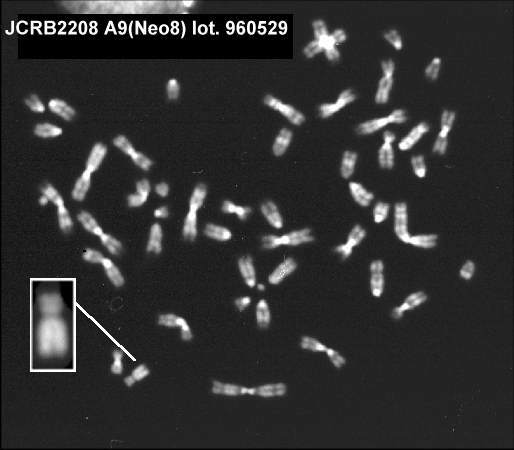 Geneticin should not be added until cells start to grow.